Is an FHA loan the right option for you? You should also be prepared to tell a lender how much money you plan to apply as a down payment. 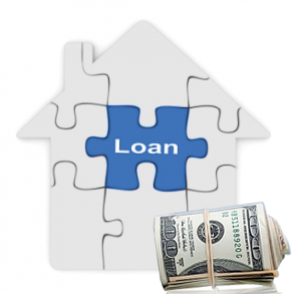 When you go to buy a new home, it's important to understand the different loan types. You should also be prepared to tell a lender how much money you plan to apply as a down payment. Buying a home that you can actually afford is always the best bet. For people who don't have the money to make a big down payment, you may be interested in how to get an FHA home loan. This can be a great option for you, but you need to understand what exactly it entails. Keeping a close eye on your credit score is also an important step in the home buying process. Home ownership is still one of the big parts of the American Dream. Home ownership is made possible to most people through home loans. Loans backed by the Federal Housing Association (FHA) have become popular in recent years due to higher home prices and the difficulty of qualifying for a standard loan. If you can't afford a big down payment, then an FHA loan might be a big advantage for you. In order to get an FHA loan, you typically need to put down just 3.5% of the total home value. Unlike other loans, FHA loans allow for your down payment to come from someone else in the form of a gift. This extra flexibility can make an FHA loans seem like zero down home loans. While an FHA loan isn't a true zero down loan, it does give an option to many homebuyers who wouldn't be able to buy homes with more traditional loans. While your credit score is an important aspect of getting a home loan, FHA loans are often generous when it comes to qualified credit scores. While many lenders will require you to have a credit score of at least 680, an FHA home loan can review your credit score and approve you if you are at 580 or better. This lower requirement makes the FHA loan a more realistic option for many homebuyers. If you are worried about whether or not you will meet the credit score requirements, it is a good idea to get your credit reports and scores at least six months prior to applying for your loan. If you are planning on buying a new home in the next six months, you need to be prepared for the loan application process. Getting preapproved is the best approach to take before you even go out house hunting. This allows you to know exactly what you can look for. Before applying, you want to get your credit reports and scores. It is ideal to check these reports at least six months before your loan application. This will allow you to maximize your credit score prior to applying for the loan, which will allow you to get the best possible interest on your loan. When you review your credit score, you have the opportunity to catch any errors that have been made. By reporting these early, you can make sure your credit isn't affected by these mistakes when you are applying for the home loan. If you get your credit reports and scores early in the home buying process, you can also make changes in your financial habits that will help your credit score by the time you actually need the loan. If you don't check your credit score prior to applying, you may be shocked and embarrassed if you end up not getting approved for your loan. Buying a house is certainly no easy task, but you can put yourself in great shape to do it by making the right financial moves. Checking your credit score early and often to ensure that you will receive the best loan possible is one great strategy. If you can't afford a big down payment, you may want to consider an FHA loan. When you do apply for your loan, make sure you understand your loan type and how it may affect your credit down the road.